Deep Diver training is offered by most scuba training agencies and typically qualifies the diver to progress to deeper depths, up to the recreational maximum depth of 40m/130ft. The purpose of this article is to examine that actual training given to students, in comparison with the risks involved and the potential training that should/could be provided to create responsible, safe and competent divers who wish to venture to the limits of recreational diving. Humans cannot breathe water. FACT. For every meter further that we venture from the surface we increasingly distance ourselves from safety. The gas we carry with us, and the equipment that delivers it is our sole lifeline to survival. When it comes to Out-of-Gas (OOG) emergencies, time is our most critical resource. Gas provides that time. The distance to the surface increases the time we need and the odds of our survival if an equipment malfunction, or human error removes our supply of gas, decrease proportionally. Novice divers practice various emergency OOG ascents on their basic training; such as buddy air-sharing ascents and buoyant or controlled emergency swimming ascents. These emergency ascents are closely supervised and only conducted from very shallow depths (typically 6-9m deep). Beyond their entry-level training, very very few divers continue practising these ascents. Even fewer have any cast-iron notion of the realistic depths from which they, the individual, could achieve such an ascent. Yet, the majority of divers are content to venture considerably deeper depths than they could guarantee surfacing from if deprived of breathing gas. Many scuba training agencies advocate the ‘buddy system’ as the solution to OOG emergencies at depth. Divers are taught to donate or receive air from buddies on every entry-level course; again on Rescue Diver training. 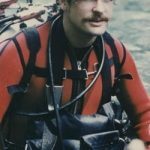 However, outside of those two limited training exposures to air-sharing ascent, how many divers confirm their competency in these techniques through regular (or even sporadic) practice? Successful application of the buddy system to resolve OOG emergencies is determined by the skills and awareness of the divers that form the buddy pair. 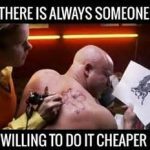 Very few divers actually practice these skills and they aren’t reinforced on scuba courses other than Rescue Diver… so we can surmise that generally for the majority of divers, these emergencies techniques are subject to considerable skill-fade and might not be considered reliable. Likewise, how effective is the buddy system in REALITY? How often do recreational divers REALLY plan, brief and coordinate their dives effectively? How much awareness do they have of their buddy during the dive? How long is the real reaction time to supply a breathing source to an OOG diver? How quickly and effectively can that air-source be delivered? How competent are the buddy team at maintaining contact during ascent to the surface and establishing buoyancy when the ascent ends? How many buddy teams plan individual minimum reserves of gas based on the needs of two potentially stressed divers making contact, sharing a breathing source and ascending to the surface at a safe rate? The answer to those questions; from what I’ve noticed as a diver, and instructor, over several decades across the globe… is NOT VERY MANY. Diving deeper causes a linear increase in gas consumption. The deeper you dive, the quicker you consume your air. Losing situational awareness at depth is far less forgiving than in shallow waters. Inert gas narcosis increases, so maintaining situational awareness also becomes relatively harder to achieve. Narcosis diminished attentiveness coupled with an increasingly critical need to closely monitor gas consumption is a double-edged sword that provokes OOG situations in the unwary or inexperienced. The risk of decompression sickness (DCS) also needs to be remembered. All divers are educated on the physics and physiology of decompression sickness, but few divers are unfortunate enough to witness or be involved in, an actual DCS incident. Thus, DCS can easily become a ‘hypothetical’ risk. Diving deeper increases the pressure of nitrogen absorbed by the scuba diver. 1. 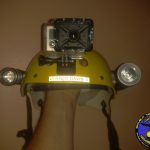 Shorter bottom times are easier to exceed, especially if combined with narcosis and a loss of situational awareness. Exceeding recreational bottom times creates an unreasonable risk of DCS susceptibility and demands effective ascent protocols and a robust familiarity with the protocols and procedures needed to complete effective emergency decompression. 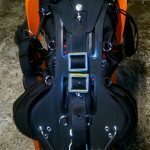 It also demands a sufficient (a 100% reliable) gas supply to enable that emergency decompression to be carried out fully… along with the diving skills to complete the necessary ascent and following emergency decompression with precise buoyancy control. 2. Increased nitrogen saturation into the body increases the risk of DCS. 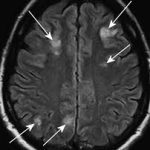 Decompression sickness susceptibility isn’t a black and white issue… it’s a grey area and the risks vary from individual-to-individual and day-to-day. Personal factors; such as obesity, dehydration or PFO existence can make an individual more, or less, susceptible to DCS; even within the ‘boundaries’ of no-decompression limits supplied by tables or dive computers. Dive computers themselves can vary dramatically in the conservatism provided by their algorithms over single, repetitive and multi-day diving schedules. 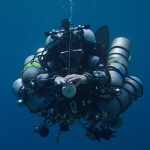 How many divers fully understand the principles upon which their dive computer, or table, algorithm calculate their ‘safe’ limits for nitrogen saturation? Not many… Dive computers can also malfunction. Without redundancy in that critical information supply, many divers would be unable to individually achieve a correct ascent rate or carry out emergency decompression stops at accurate depths if they were needed. Other non-personal factors also impact upon DCS susceptibility; water temperature, effective exposure protection, exertion, altitude, choice of breathing gas (i.e. air or nitrox) etc. In short, venturing to deeper depth causes an inevitable increase in nitrogen saturation in the body… and the more saturated you become, the more risk increases that one, or more, contributing factors could cause an incidence of DCS. So what training do the scuba agencies provide to mitigate against this scary, but realistic, state-of-affairs? Most Deep Diver courses comprise 4 training dives, with some theory study. The theory study generally expands upon the basic physiological and physics (gas laws) principles taught at basic entry level (i.e. on Open Water Diver courses); whilst setting an opportunity for that theory to be demonstrated in-water on training dives. Given the obvious risks of diving to progressively deeper depths, what training are Deep Diver students actually given? 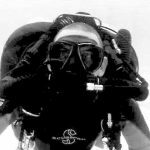 Typically, the syllabus for Deep Diver training in-water tends to focus upon illustrating the basic theoretical principles first introduced to Open Water Divers. Students are shown the effect of pressure on various objects, the loss of colour as depth increases is demonstrated and a token insight into gas consumption increase is provided as students compare depth gauges and/or computers. Deep diving students will also often learn to use external gas, often in the form of a ‘drop bottle’, which can allow an extended stop at a pre-determined depth – IF the student is able to return to that bottle on their ascent. They are also taught how to complete a pre-determined (often by plastic tables) emergency decompression stop that is presented as nothing more than an extended safety stop (with all the precision and control that entails…or doesn’t). We can see that Deep Diver courses have an educational value, as they practically reinforce physiological and physical principles introduced in entry-level training as theory. But where is the tangible skill and equipment training necessary to ensure diver safety as venturing into deeper depths increases very real risks? I see a very real deficit in skills and equipment training offered by many of the Deep Diver courses offered currently by scuba training agencies. Deep diver training should address the actual risks that present themselves as deeper recreational depth ranges are dived. This training must include classroom, dry skills and in-water drills. Each element should comprise performance standards for qualification, where failure to competently achieve the necessary skill-set is a barrier to qualification. 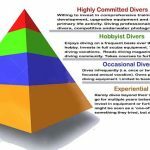 Deep diver courses should not be about ‘attendance-only’ and qualification shouldn’t be assumed within a bare-minimum of stipulated training dives. 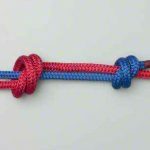 The training emphasis should always be upon creating reliably competent and safe deep divers, and not merely progressing through a ‘tick-list’ of flaccid skill attempts before issuing a certification in the minimum timescale. 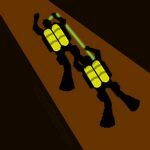 The safety tolerances of deep diving are lower, so more robust dive planning must occur before a team enters the water. Every diver should have a clear understanding of the dive plan before embarking on the dive and this must include; no-decompression limits for the dive, ascent and stop procedures, gas management (see below) and the contingency protocols to be used for any foreseeable emergency. That dive planning must be taught and carried out using the actual methods used by the individual diver; i.e. their personal dive computer, laptop software, phone app or olde-school plastic tables. 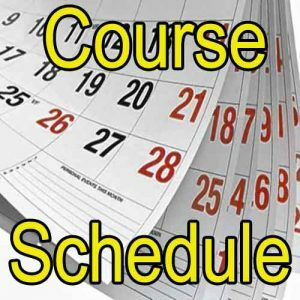 Understanding deep dive planning also requires a more robust understanding of dive theory (physics and physiology), as well as some basic decompression theory in respect to dive planning algorithms and how they work. A knowledgeable dive instructor should be capable of giving the student a good insight into the various contemporary algorithms used in varied software and dive computers… and should make sure that each student understands the pros and cons of the algorithm they opt to use. The amount of gas they will consume during the dive. The amount of reserve gas necessary to assist any OOG team-mate to the surface using the agreed ascent/stop plan. The relative efficiency of the gas in providing necessary bottom time and/or increased conservatism (i.e. optimal nitrox). The Deep Diver must be able to calculate that they have sufficient gas to conduct the planned dive (or plan a shorter dive) based on their personal consumption rate, whilst retaining a sufficient reserve supply to deal with a realistic OOG scenario. They should also be able to calculate the best breathing gas choice to enable them to conduct sufficient bottom time whilst also maximizing conservatism against DCS risk. Deep Diver course should include theoretical and practical education on SAC/RMV rate (relaxed and stressed) and cylinder capacity calculation. Nitrox training should also be a pre-requisite for enrolling on a Deep Diver course, as it is a vital deep recreational diving tool. 4. Life-Support Redundancy and Self-Sufficiency. Unless the deep diver enjoys the luxury of diving only within a well-established, skillfully rehearsed and coordinated team, they should aim to adopt a self-sufficient approach to deep diving emergency management. Abdicating your ultimate safety to an unknown, or unreliable, buddy clearly demonstrates an irresponsible attitude and/or a weak understanding of the risks and consequences of deeper recreational diving. 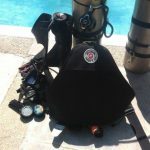 Deep divers can increase self-sufficiency through increasing their scuba skills proficiency, their mindset and by adopting redundancy in their critical life-support equipment; specifically the supply and delivery of their breathing gas (without which their survival is measured in seconds, compared with the minutes needed to reach the surface). The very barest minimum of gas redundancy suitable for deep recreational dives is a pony cylinder of sufficient capacity to allow a safe ascent from the deepest planned depth, following the pre-planned ascent schedule. Again, gas management education is needed if divers are to be able to calculate this need. Deep divers should be educated, if not trained, on alternative redundant gas options, such as; manifolded or independent back-mounted cylinders or sidemount diving. 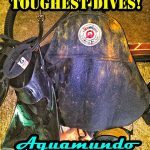 Training courses are available on both back-mount doubles and sidemount; and these are highly recommended as a supplement for the Deep Diver’s toolbox of options. Likewise, the benefit of further training in self-sufficient or solo diving techniques is a direct benefit to the deep diver. Redundant gas supply should be equipped and practiced with on every Deep Diver training dive. The benefits of other critical equipment redundancy, such as dive computers/bottom timers and cutting devices should also be clearly explained to the student and encouraged as options. 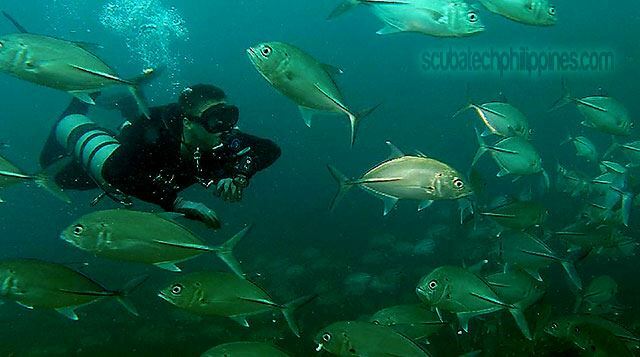 See article: Are You Ready for Solo Diving? 5. Pre-Dive and Descent Checks. 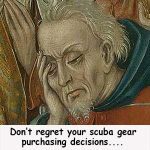 Recreational divers often become complacent in conducting pre-dive equipment checks. Deep dives are not the place to experience a equipment failure, so Deep Diver training should (re-)educate divers on the need to conduct thorough pre-dive checks as a team. Deep divers should also be educated on the protocol of conducting descent/bubble checks that technical divers use. A brief pause in descent whilst still in shallow water can often highlight un-diagnosed equipment problems, ensure last minute final checks are done….and give the deep divers an ideal opportunity to coordinate, communicate and consolidate as a team before descending together to bottom depth. The pause in descent is also beneficial in assisting all divers equalize their ears. Deep divers need to retain constant situational awareness of their depth, bottom time, gas supply/consumption, location/navigation and team/buddy. Training for deep diving should provide progressive and repeated drills to reinforce and encourage improved situational awareness throughout the dive. Deep diver training should include physical practice of OOG donation/receiving procedures incorporated with actual extended ascents from depth. These should also be used to reinforce education about gas consumption/management. 8. Refined Core Scuba Foundational Skills. Deep diving, in particular proper ascents, demand a higher level of core scuba foundation skills, in particular; buoyancy control, propulsion and trim. When conducting deep dives, these skills should not deteriorate if additional task loading, incident stress or the influence of narcosis are applied to the diver. 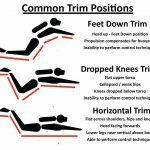 Deep diver training should include practice that improves these skills to a higher level. There should also be some element of core scuba foundational skill appraisal as a pre-requisite to starting a deep diver course…. and those same skills tested against defined and measurable standards as performance requirements for certification. 9. Delayed Surface Marker Buoy (DSMB) Deployment. The nature of deep recreational dives means that divers may sometimes not have sufficient gas or time to return to the shot/anchor line without compromising their dive or gas plan. 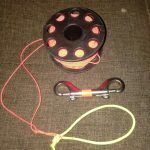 This, for deep divers, there is a need to be able to reliably and safely deploy a DSMB from depth as an ascent line and to maintain contact with the boat or shore support. Deep diver students should learn how to deploy a DSMB and ascend with it, practicing this skill over multiple dives/ascents. The performance standards for these DSMB deployments should be measured in respect of time taken, safety (no risk of entanglement) and be conducted both statically and then simultaneously on ascent. The need to complete emergency decompression is a very real concern for deep divers, so it is a skill that should be practiced with a high level of accuracy and understanding during training. It should never be a ‘token’ effort done on a single dive, but should be viewed as a very real emergency skill that can be relied upon and carried out correctly. Most importantly, it should be conducted using the student’s own diving computers so that they can properly understand the information those computers give them, and reliably repeat the skill using that device in the future. This necessitates that students fully understand how to use their dive computers (read the manual!) and possess the core buoyancy skills necessary to accurately maintain given stops. One method I use to train recreational divers to conduct emergency decompression (and educate them about their dive computer function) is to plan and conduct a deep dive using an appropriate nitrox mix. However, the dive computers are left in ‘air mode’ and thus can be pushed into decompression mode by a pre-calculated amount of time/stops. This means the students get to practice a ‘real’ decompression ascent according to their dive computer, but are well insulated DCS risk. Obviously, ‘bending’ their computer is a fail…. We also analyze the dive profile afterwards, including ceilings and buoyancy control/stop depth adherence. 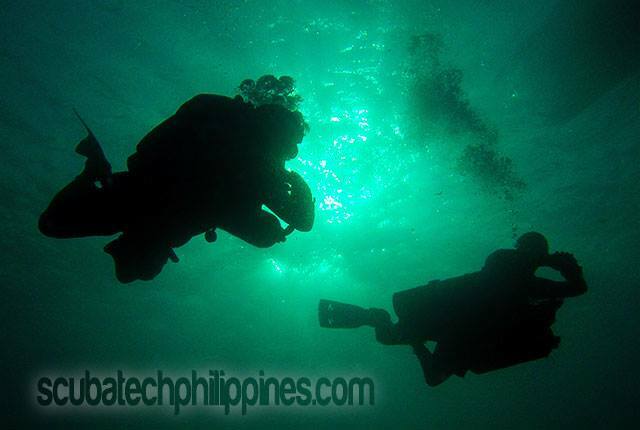 I encourage recreational divers to view deep diving with the respect that it should be given. 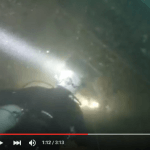 It’s easy to be complacent about diving increasing depth…. and being awarded a ‘Deep Diver’ certification card because you noticed color change on a deep dive does very little to actually address the risks and consequences of something going wrong at increased depth. Deep diving is a truly advanced level of recreational scuba. It needs to be advanced because it is less forgiving of mistakes or failures. 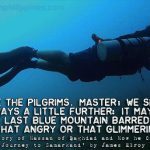 There is no ‘magic line’ between recreational and technical diving…. and staying within a ‘no-decompression limit’ is no guarantee of safety, nor causes any fundamental decrease in necessary competency, education or equipment required by the diver. If you are considering Deep Diver training in the future, or have already qualified but doubt the validity or scope of the education you received then I encourage you to investigate getting properly trained for the deep diving you wish to conduct. Seek an instructor with true deep diving expertise who will go beyond the scrappy minimums offered on many courses. A plastic card cannot get you to the surface safe and alive if something goes wrong at significant depth… only tried and tested skills can do that. 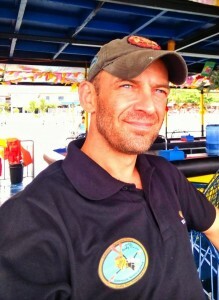 For information about recreational deep diving training, please contact me.